This time what thwarted me was a flying trip to cooler climes. Having completely missed the short but wonderful morello season by jetting off to visit some of my most favourite peeps, I was evidently destined to forego the opportunity once more. But since my lovely neighbours had dropped round some fresh blueberries in my absence something needed baking - so I made flaugnarde instead. 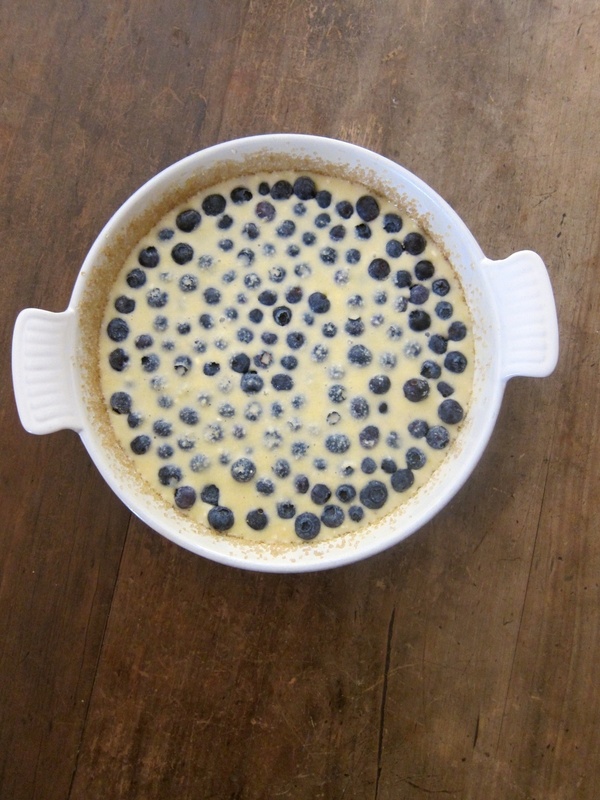 Flaugnarde is a baked French dessert not just a little, but exactly, like clafoutis. It is, in fact, the proper term for the same dish when fruits other than cherries are used. 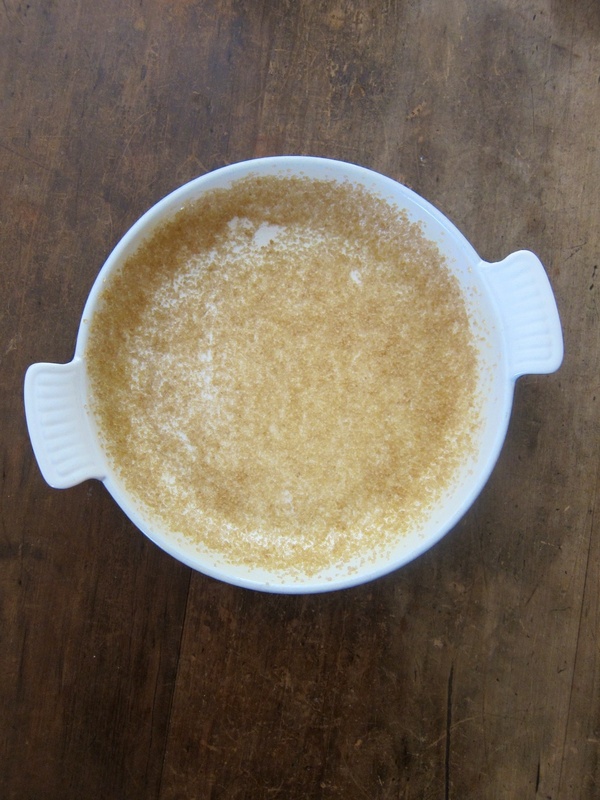 These rustic custards both hail from the Limousin region, have names meaning "to cover" or "soft", and are made by covering fruits in a thick, flan-like batter. This particular recipe first coats the dish in a layer of Demerara sugar, which both adds a nice crunch to the base, and balances beautifully with the wibbly wobbly custard centre. The fresh blueberries were a welcome addition and while not quite the glorious contrasting tartness that the traditional sour cherry would give, their sweet, jammy bursts still made for a luscious summer dessert. At its best when still warm my only advice would be to serve the flaugnarde exactly as is, with nothing but spoons as company. For this is a dessert well worth sharing. Preheat the oven to 180°C and brush an 18-cm ovenproof dish (preferably enamelled cast-iron) with a little of the melted butter. Sprinkle over the Demerara sugar and tilt the pan to coat. Set aside. Sift the flour into a medium bowl, together with the sugar and salt. Whisk in the egg, followed by the milk and then remaining melted butter. Finally, stir in the vanilla and lemon zest. 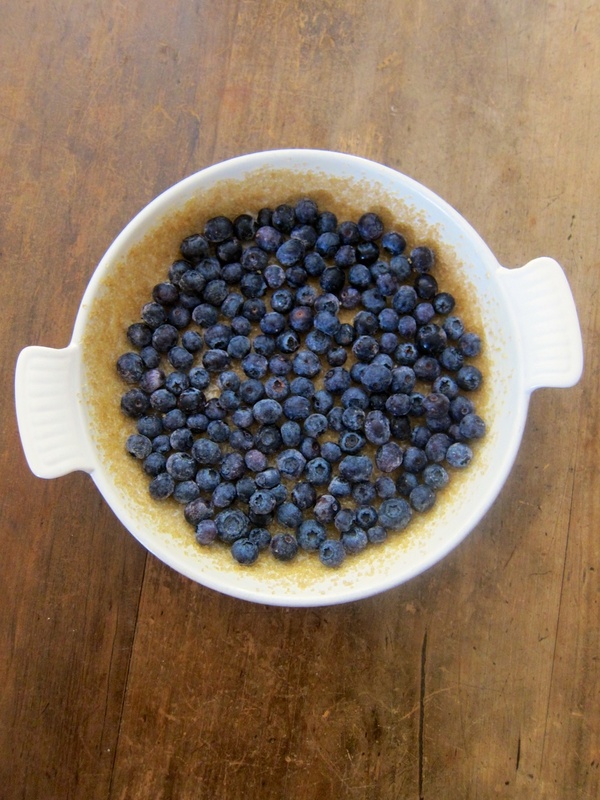 Spread the blueberries in a single layer across the base of the pan and then gently pour in the batter. Bake for 20-25 minutes, until just set. The custard should be lightly golden on top but still a bit wobbly in the centre. Sprinkle with a little Demerara or dust with icing sugar and serve warm.